Search marketing is all about generating traffic to specific sites, the more traffic generated, the more sales can come from it. There is an increasing move in search marketing towards getting higher conversion rates on our sites, which as many of you may know, is not all that easy. Sometimes you can lose sight of why search marketing is so important when all you see is data, this is why it is important to see the other factors that you can see from Pay-Per-Click. 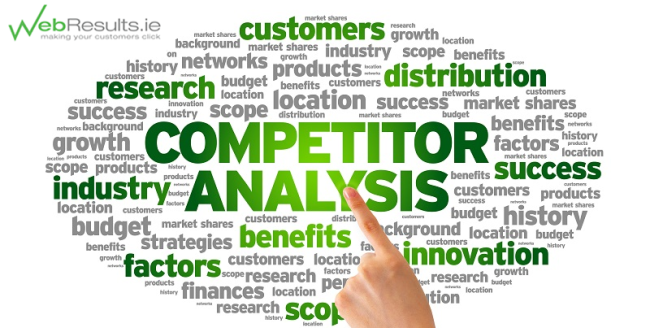 If you have competitors, and I’m sure you do, use analytics to do more research on them and their keywords so that you can try to out-perform them. If you can beat their PPC with yours, that is the best possible outcome and with your research using tools such as Keyword Spy to see which keywords they are using (outlined in an earlier article “Free Keyword Tools”) you may find it easier to get your campaign performing successfully. Competitors are people that are in direct competition to you, and they may or may not have unlimited money at their disposal for their PPC campaign. Big companies can often be wasteful because they have so much money available. You can see from some simple searches around your competitors keywords whether or not they are using their spend wisely or badly. Once you have deduced where you can out-do them with regards their PPC campaign, you can become an even healthier opponent to them. Always consider aspects such as what they are doing that you are not and vice versa and play on this as it is your niche. Again, Keyword Spy could be a helpful tool here to assess what terms and phrases competitors are using. If they have any of these, they are a tricky competitor as they have hedged their bets. You can also check if there are conversion “accelerators” on a site. These let you know about their reviews and who they are using, the video player being used and more. Outside of the area of PPC competitor analysis, there is also some other ways to check how they are doing, such as listening to press releases from the company and if they are a public company you can check information fairly freely about them. Finally, don’t be afraid to simply look at their site as if you were a customer who is informed about usability etc, does the site look good? Is it easy to use? Would you click away from the site because you can’t see the business purpose? Always do some simple research alongside complicated data research so you can see every aspect of the business.